The trail of the past is often not understood. However much we may say that nothing remains, some remnants always turn up to refute us. On the path of Zutshkis sisters, I was not even able to find an image for decades, and then an image turned up in a college student scrap book. A hidden lover no doubt as many others of that time. And then this Autograph book. Strangely Queen Mary College was home of girl students from the best families of Lahore. 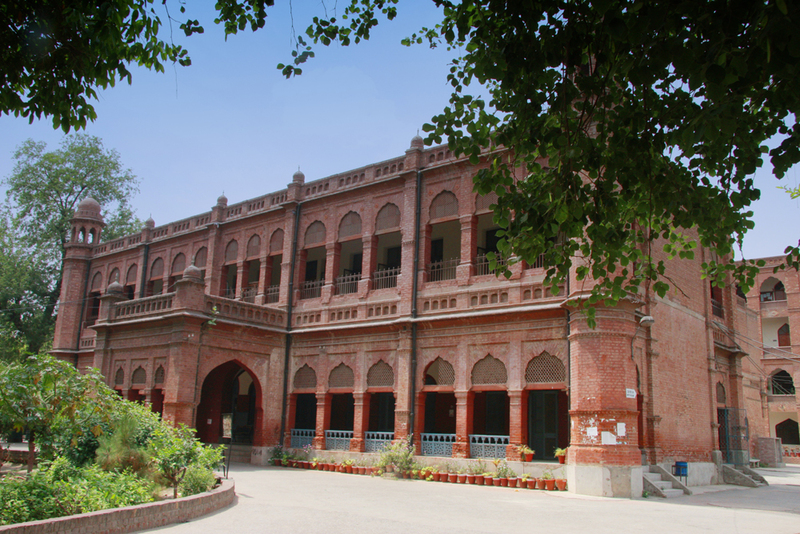 Founded as Victoria May Girls High School, Lahore, in 1908, it was renamed after Queen Mary, in 1911. In 1926 Kinnaird College had also moved to its present site, but was of no significance at that time. 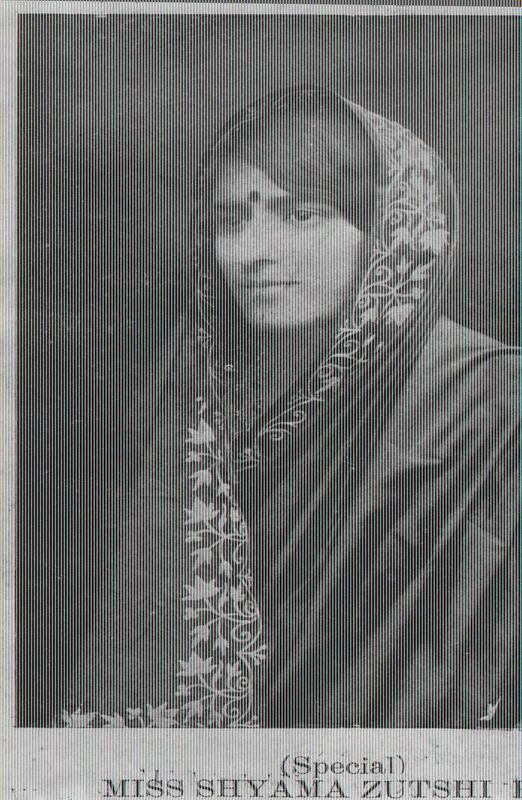 As a School it existed near the Railway Station but not for girls from esteemed families. Very famous personalities got their education there, but so was a number of artists. We hear of Sughra Rabbabi, Razia Feroze, Razia Sirajajuddin, Jahan Ara Shahnawaz, Geeti Ara Bashir Ahmad , and so many others, attached to the place. This Autograph book contains Autographs of many teachers as well as many prominent students. Our emphasis was of course on Shyama and we have touched that alone. If we come across anything new, we will refer to that too. It was as rich period in our history and intellectualism abounded in Lahore. The Paindos had not swept Lahore as well a the bigoted Mullahs. 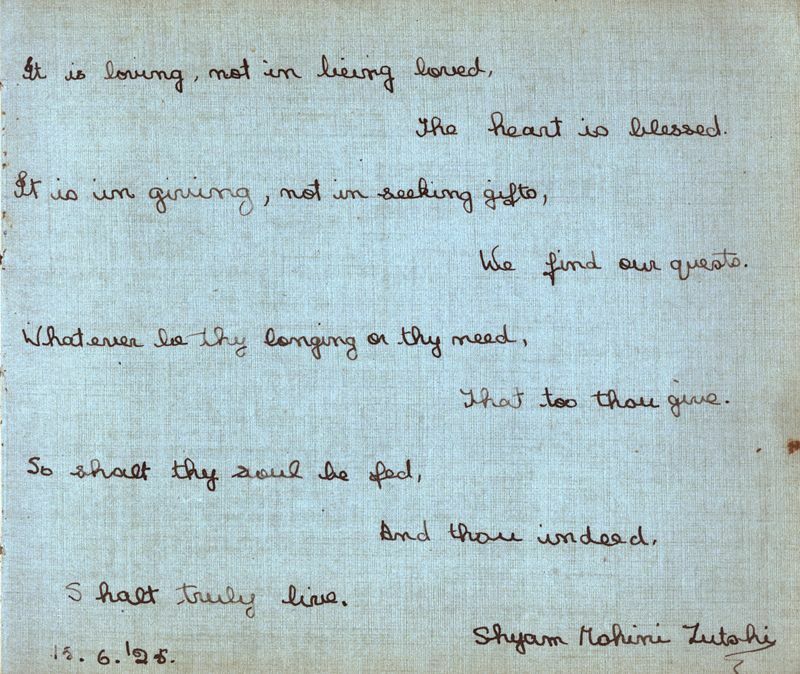 Lahore’s soul was as free as a soaring bird.